Looking to shift his focus from the racing to the breeding side of the sport, owner Gary Broad was the winning bidder when historic Walmac Farm was auctioned off Wednesday. 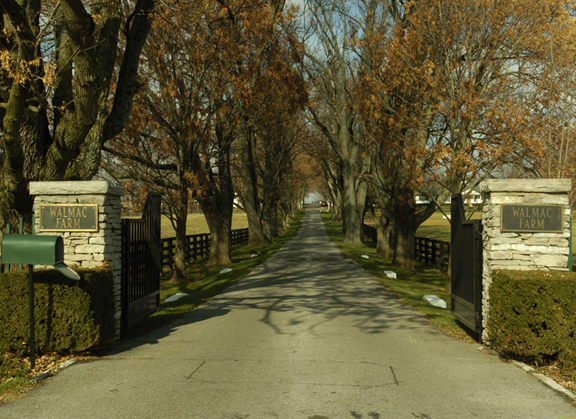 Broad’s winning bid for the 248-acre property that sits about six miles from the center of Lexington was $4.8 million. Walmac was founded by John T.L. Jones Jr., and stood numerous top stallions throughout its history, including Nureyev, Miswaki, Successful Appeal and Alleged. In 2016, it was announced that, as part of consolidation process, Walmac was putting its main property up for sale and shifting its operation to a smaller farm near the Fayette/Bourbon County Line. “Gary was very pleased,” said realtor Tom Biederman, who represented Broad at the sale. Biederman said since Walmac has not been in operation since 2016, Broad will need to make an investment to refurbish parts of the farm. The new Walmac will operate differently than the old Walmac. According to Broad’s advisor Shannon Potter, Broad has no intention of standing any stallions there. Potter said Broad currently owns about 15-20 broodmares and will be looking to buy more and improve upon the quality he already has. Potter, who is also the CEO of Town and Country Farm, said Broad wasn’t necessarily expecting to buy Walmac, but felt the price was too good to pass up for such an historic facility. He added that it has yet to be decided whether or not Broad will rename the farm. 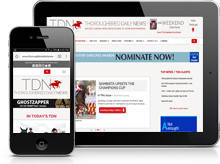 Town and Country is owned by Kiki Courtelis, who has owned horses in partnership with Broad. According to Potter, Broad will rely on Courtelis’s knowledge to help him rebuild Walmac. With the shift into the breeding side of the business, Broad will begin cutting down on the number of horses he currently has in training. Potter estimated the Broad stable consists of about 50 to 60 horses. Broad’s top horse this year was Core Beliefs (Quality Road), winner of the GIII Ohio Derby.